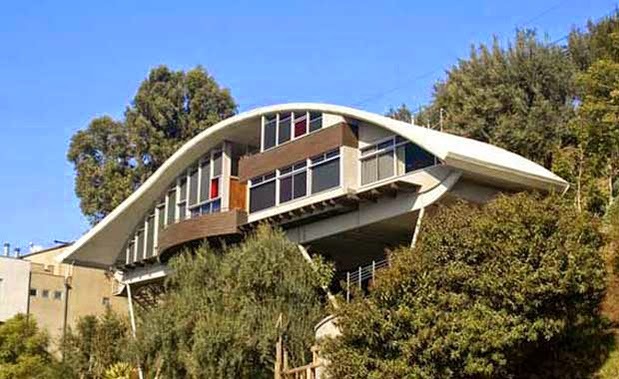 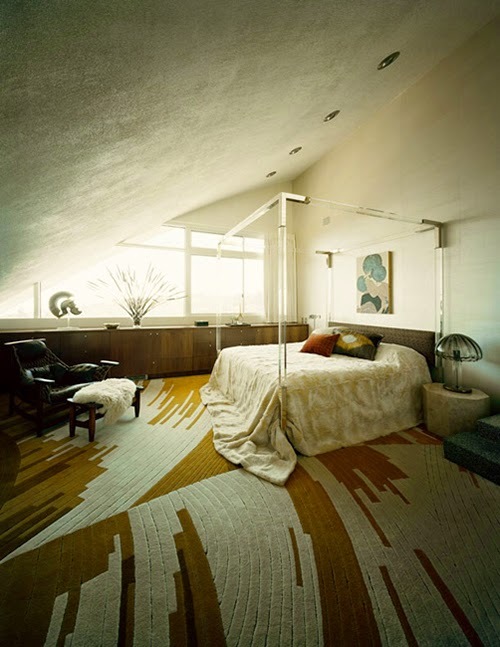 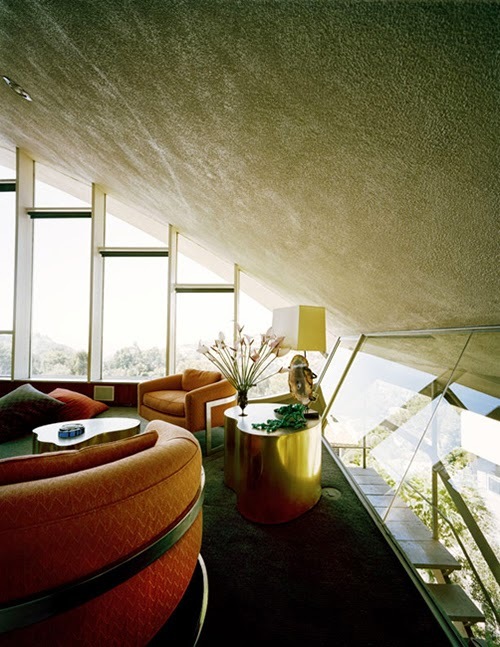 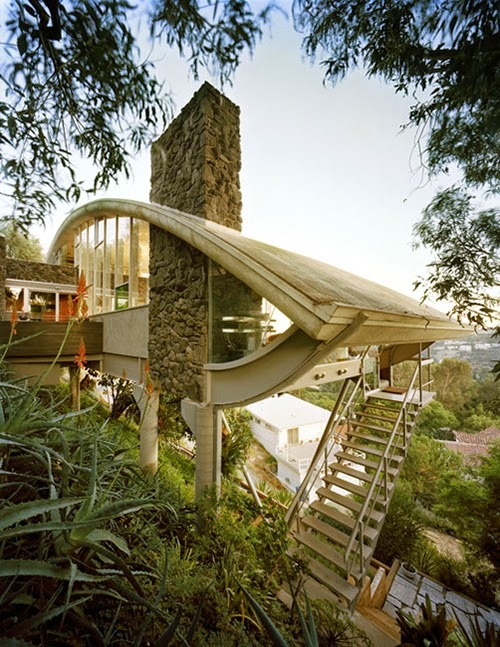 A look inside John Lautner's Rainbow House, built in 1964 for jazz legend Russ Garcia. 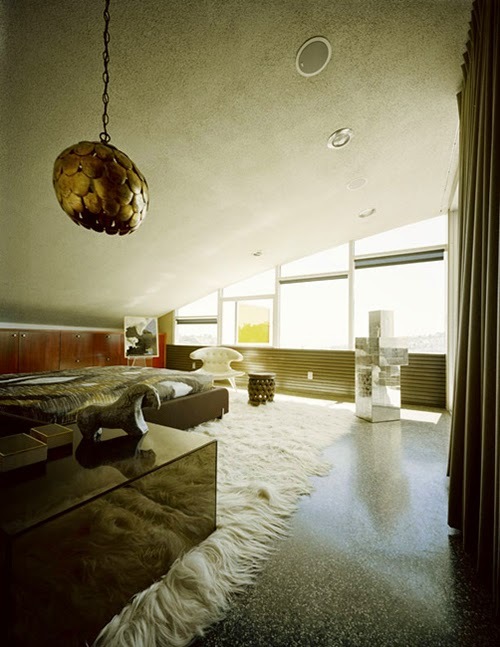 Fittingly furnished with touches of Hollywood Glam, including Milo Baughman lounge chairs, Karl Springer freeform brass tables, a Willy Daro Agate Table Lamp, brass lotus pendants, an Achille Castigliano Arco lamp, and one rather amazing bed by Charles Hollis Jones. 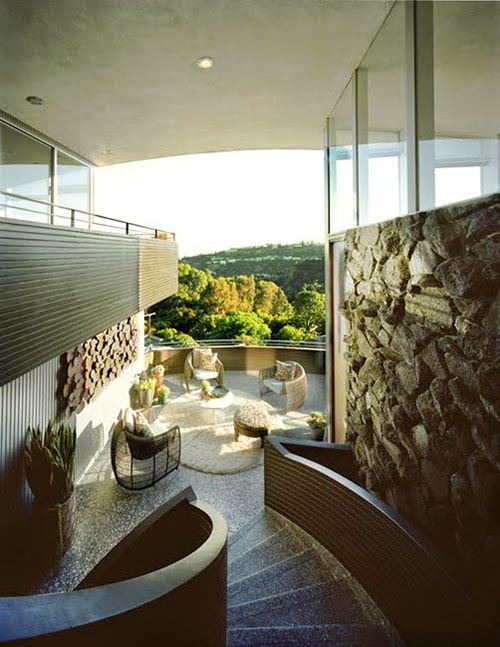 Also spotted is a rare Jean Gillon Captain's Chair and Ottoman.